From a very young age, Alyssa was taught to love and respect houses and how they symbolize family. During her childhood, weekends often meant open house sojourns, and even family vacations often centered on famous architectural destinations. It’s no wonder Alyssa was determined to have a career that honored her love of the family home. Armed with a degree in interior design from Kirkwood College, Alyssa took a position in retail management with McGregor’s Furniture. She honed her skills first in sales and worked her way up to accessory buying and merchandising for an entire chain of stores. Although she loved feathering clients’ nests with her keen eye for aesthetics, Alyssa still yearned for something more. Real estate was the next natural step. She kicked off her career with EXIT Realty in 2014 and joined RE/MAX Partners in September of 2017. Driven by a passion for her clients and a laser focus on representation before profit, Alyssa couldn’t be happier with her role within the organization today. Alyssa’s commitment to people doesn’t just stop when her work day ends. If she’s not representing clients or tending to her own family (husband Luke and three children), Alyssa is contributing to her community. She’s a member of both the Brooklyn Chamber of Commerce and Brooklyn Economic Development as well as a Poweshiek Leadership Program (PLP) graduate and facilitator. 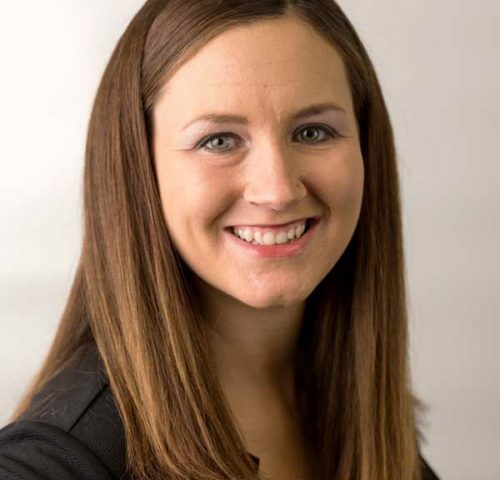 Additionally, she’s a member of the Mid-Iowa Regional Board of Realtors (MIRBOR) education and special events committees, which provides resources and professional development for real estate professionals. If your family is looking for a place to call home, Alyssa will provide you with all of the innovative tools you need to build that dream. Call her at 319-521-7016. Own your own BRAND NEW home in Grinnell Garden Cottages! This home will be under construction soon. The cottages feature classic 1.5 story style with a modern open living concept and finishes. Own your own BRAND NEW home in Grinnell Garden Cottages! This home will soon be under construction. The cottages feature classic 1.5 story style with a modern open living concept and finishes. Own your own BRAND NEW home in Grinnell Garden Cottages! This home is currently under construction. The cottages feature classic 1.5 story style with a modern open living concept and finishes. Own your own BRAND NEW home in Grinnell Garden Cottages! This home is proposed new construction. This home has been fully renovated inside and out! Step into the large mudroom perfect for backpacks, shoes, and coat storage! Enter into the dining room boasting beautiful refinished hardwood floors that continue throughout the house. The kitchen features cherry cabinets, granite counters, tile backsplash, and stainless appliances. Welcome to Grinnell Garden Cottages! You will love the low maintenance of this Planned Urban Development. Just inside the covered front porch of this particular model, you will find 9' ceilings and a spacious open floor plan including the kitchen, dining and living area. The dining area boasts large windows with a beautiful view. If you are looking for garage space and room to entertain this is the home for you! Step inside from the classic front porch to the front entry including 2 closets! Adjacent to the entry is the living room then down the hall to the 3/4 bath that includes the laundry! Just across the hall is a smaller bedroom. Amenities of an acreage in town! This home has 2000 square feet of main floor living space, over a half acre, PLUS 2 Shops! Step in through the back door into the huge dining area that opens up into the living room. Just down the hall are 2 bedrooms and the 3/4 walk through bathroom with access to another hallway and the huge master bedroom.